For the purpose of this post, and to keep things simple, we will focus on 3 methods to add “shiplap” to your house. I will not go over applications, supplies needed, cost, etc. (there will be links to help you with that). This is an informative post on wood types used. And I’m assuming all of us want to learn what it is, so we can make an educated decision when adding it to our home- right??!! The methods may vary from: square edge to beveled edge boards, width or length of boards used, or thickness of plywood/MDF variations to solid planks, but the concept is the same. The one thing that changes is how they look on the wall…..just not every single time. And that is why the shiplap and the “shiplap look” has gotten a little confusing. 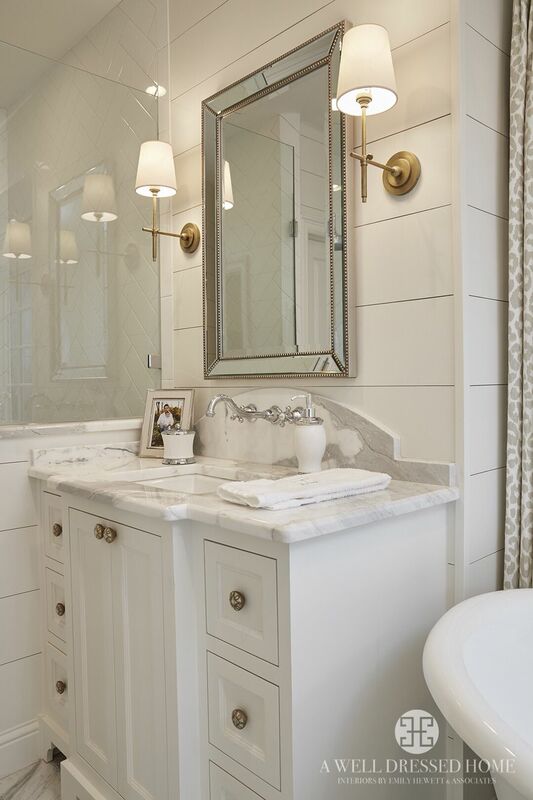 Shiplap is a beautiful marriage where old meets new, smooth meets texture, and clean lines meet graceful movement……and that is why it is popping up in the majority of remodels and new builds everywhere. First Method: WHAT IS SHIPLAP REALLY??? 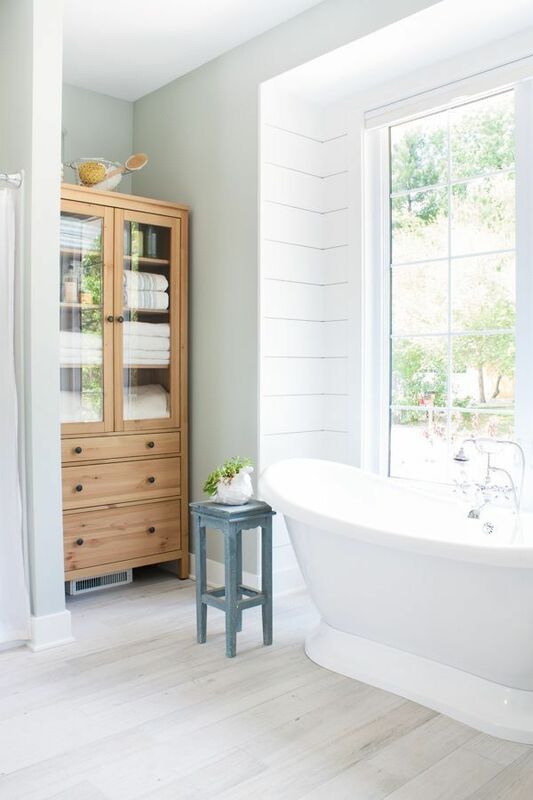 According to Merriam-Webster dictionary – Shiplap is defined as “wooden sheathing in which the boards are rabbeted so that the edges of each board lap over the edges of adjacent boards to make a flush joint.” OK…now in English. Each board has two rabbeted (CUT) edges —one on top, one on bottom (see picture to left). The top edge of one board will LAP over the bottom edge of the 2nd board to make a flush joint (picture below – right). These Shiplap boards were originally designed as a type of siding for exterior structures like barns, woods, and sheds. They kept the water out, and were attached at different angles to let water run off the structure it covered. FUN FACT: wooden boards (all types) were used for siding until plywood was invented. The boards are cut with either 1/2″-3/4″ “edge” (size of edge) …….depending on the width of the board ……(6″, 8″, 10″) to create a tight seal to keep water out and allow the wood to breath – Buffalo-Lumber.com. This website has a lot of information on all types of sidings (if you are interested to learn more). NOTE: There are several types of cuts made for shiplap boards, but to make things easier for this post I will focus more on the square edge. 1- square edge (1st picture below) and 2- beveled edge (2nd picture below). In the first picture, the “E” is the LAP. ….you know like ship-LAP? 😉 This is where that cut will be either 1/2″ – 3/4″ long . In the second picture “F” is the beveled (angled) part. Can you see the difference in the look of the edges – straight vs. angled? This gives you a better idea of what the square edge shiplap looks like when attached to the wall, and how the boards LAP over each other. The picture comes from an awesome DIY job by The Harper House!!! I Love how it turned out. If you want to see more of this shiplap update, click on the link below the picture. This is a great post with lots of information! Now, just when you thought you were catching on to shiplap, things begin to get a little trickier. Stay with me here….. There is a popular trend happening within the shiplap method itself. It is called the nickel gap pattern – attaching shiplap without the flush joint. There is a GAP in the LAP!!! LOL!! The “G” on the picture below shows the GAP- (there is a space on this pattern, where the original shiplap pattern has no space. Below are some pictures of shiplap (square edge) with complete “flush joints”- no gaps, and then with the 3 other noted gaps. The gaps give it a different kind of look- can you see it? There is space between each board on top, and on the bottom. I just wanted to let you know it exists so you are informed of it, but will not go into it any farther. Just food for thought. WHAT IS TONGUE AND GROOVE ??? The tongue and groove board has a nitch (tongue) on one side and an opening (groove) on the other side so that they join together tightly. On the picture to the left you can see how the tongue and groove board has openings that look more like a puzzle piece. The tongue side of this board would fit into the groove side of the adjoining board. 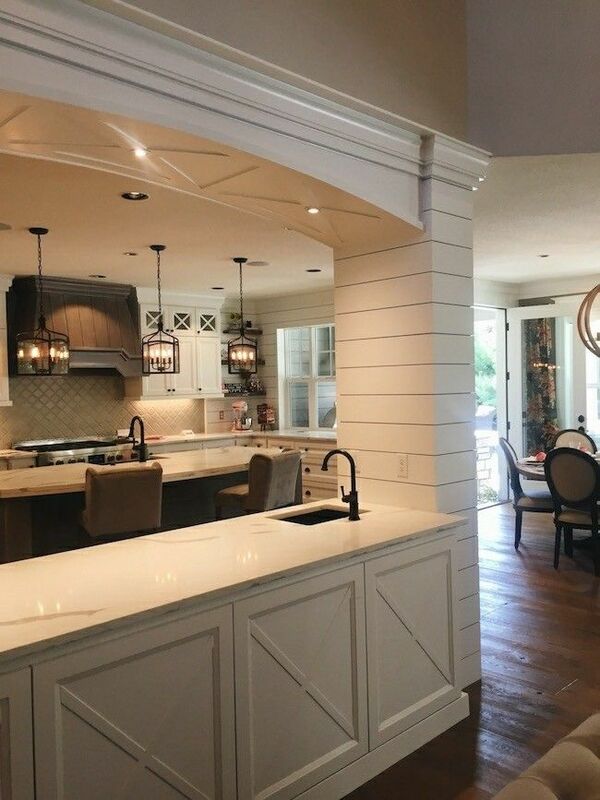 This is different than the shiplap…..where those boards overLAP each other, and here they “FIT OR JOIN” together. In the profile pics below, you can see the square edge and beveled (eased edge) tongue and groove patterns and what they look like. This gets technical very quickly on all the measurements, cuts. etc….and definitely over my pay grade. I just wanted you to see that the tongue and groove boards also have the different edges (like the shiplap). This picture gives you a better idea of comparing the shiplap to the tongue and groove (rainscreen won’t be discussed- it was just a great pic)! You can see the square edge on both of the board profiles side by side. It also shows the difference in how they are attached to the wall- look at the nail placement. The shiplap is attached with straight nails, and the tongue and groove is attached with angled nails. Just a FYI. The picture to the LEFT below shows the tongue and groove and how it joins together. This beveled (angled) edge on the board is very small like the micro eased bevel edge on the profile picture above (pic #3). On the picture to the RIGHT below you can see this beveled edge is more pronounced than the picture to the left. The angle creates a “v” look, which is like profile picture above (pic #1). In both pictures you can tell how the tongue and groove joint looks more like puzzle pieces fitting together; they have tighter joints which provide stronger joints. Third Method: WHAT IS A PLANKED WALL??? The plank wall is made with boards that have not been rabbeted, nor have tongue and groove. 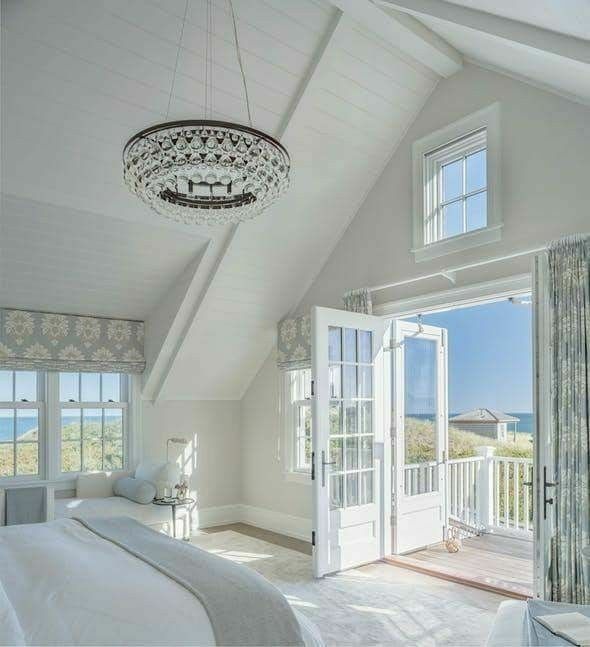 This type of “shiplap look” seems to be the most popular for the diy’ers – since you have less cuts and easier cuts per board (compared to shiplap or tongue and groove boards). DIY’ers can also achieve the “shiplap look” for less money using plywood or MDF (medium density fiber board) sheets. They use large sheets that are 1/4″ or 1/2″ thick, and then cut them down to the specific widths (6″, 8″, 10″ boards) they desire. The thinner boards are easier to attach to the wall since they aren’t as heavy, and the skill level needed is less than it would be for the other 2 methods. Here are pictures so you can the plywood planks and tongue and groove side by side. This is an awesome post with great advice from someone who has experience using both plank and tongue and groove methods in her home. Click under the picture to read her full story- she has a ton of important info to share. Through my digging, I have noticed that the plank wall can be installed flush (board to board), or with a gap (similar to the nickel gap mentioned above with shiplap). DIY’ers are actually putting nickels (or coins) in between the planks to mimic the shiplap look. See pictures below and click on links for more information, tips & advice. Hope you are feeling like a Shiplap, Tongue & Groove, and Plank EXPERT!! Sorry it was sooooo long….I just didn’t want to leave anything out that might be important in helping you make your SHIPLAP DREAMS COME TRUE!! Stay tuned for Part 3 coming soon! !